My fifteen seconds of fame on my blog are over. Time to get back to the author spotlight, so I can focus on marketing and my next project for a few days. 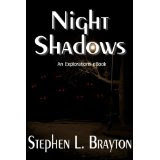 Next on the spotlight list is Stephen Brayton who has authored what looks to be a great thriller. Welcome Stephen! My eBook, Night Shadows, is about a Des Moines, Iowa homicide investigator teaming up with a FBI agent to solve the series of brutal murders. While dealing with personal problems, the unlikely duo find themselves battling malevolent creatures from anther dimension. The book will be released February 15, 2011, from Echelon Press. You can check out the details at www.stephenbrayton.com. I met another author/editor at the 2010 conference and became part of her ‘posse’. Every week she seeks out various interesting blogs and websites and lets her posse members know about them. We then visit the sites, read the blogs and make comments. Social networking. Plus, I’m part of Facebook and Twitter (of course), and several mystery and author sites. I’ve also been interviewed for a paranormal radio show and have visited colleges for writers’ workshops. Plus, on my blog I do regular author interviews. Currently I’m interviewing Echelon authors, but will soon branch out to others. Keep writing and don’t give up. Do your homework on publishing, especially small presses. Attend conferences for contacts. Edit, edit, and edit some more on your story. If you get accepted, promote fellow authors in that company. I have hundreds of books in my library waiting to be read. I really like the old Shadow and Doc Savage series. Plus Queen, Stout, and Pelecanos are on my list of upcoming authors to read. The next spotlight author is Kristina Meister! So, I bet you thought since I got picked up by a publisher that I was through with indie publishing. I've always said that if I have a book that I really believe in that doesn't sell, I'm gonna put it out myself and, once again, let my audience decide if it's something that they think is a worthy read. I've had this book on submission for several months now. For the most part, all the editors said they loved the story and concept but they didn't think there was a market for another Pride and Prejudice telling. I felt different...and so do many others as I found out by happenstance today!! A teen blogger who I just LOVE put the word out there on Twitter and she got quite a response...from readers...and a couple of agents and editors who requested my information. We'll see if anything comes of it. As for me, I'm pressing ahead until a deal is in hand. So, I'll be back on the indie boards promoting the new book and hustling with everybody else. Initially, I'm only putting on Kindle, Nook, Kobo, and iPAD and we'll see what happens from there. A few print copies will be printed for author review copies (ARCs) and maybe I'll sell a few at a festival or two. With that said, here's my new baby. Basketball phenom Liz Bennett just wants finish high school under the radar...and without constantly defending herself against false rumors about her sexuality. With two trouble magnet kid sisters and a mother obsessed with protecting her virginity, she’s already dealing with more drama than an Emmy-winning daytime soap opera. But when two popular new guys enter her life, she’s forced from the shadows and onto center stage. Trent Whitman, Liz’s hot new admirer, pursues and woos her with his silver tongue and hazel eyes. When he turns on the charm, Liz turns off all common sense. Darcell Williams, on the other hand, is a star football player who sticks his cleats in his mouth every time they meet. As far as Liz is concerned, Trent is a dream and Darcell is a devil reincarnate. During the Back-to-School dance, Darcell spews an oh-no-he-didn’t insult that cements Liz's contempt. Oh yes, their feud is on and poppin'! Driven by spite and embarrassment, Liz instigates a series of misunderstandings that propel her into an inevitable confrontation with Darcell. But when a Bennett family crisis reveals Darcell’s and Trent’s true colors, will Liz’s pride prevent her from accepting each for who he really is? WORST IMPRESSIONS is a humorous and uplifting coming-of-age tale about a girl who discovers that misjudgments are a two-way street best left untraveled. Loosely based on Jane Austen’s Pride and Prejudice, this novel brings a timeless story to contemporary multicultural teens. With that said, I'll keep you posted on the happenings! Until then...Keep it real...and keep it real cheap! So, I'm gonna take brief break from posting your novels to address an issue brought up by a follower. A young lady called me (I won't reveal her name for privacy reasons) and explained that she published through Createspace and had been trying to get her book into a bookstore. The bookseller pulled her book up online and said while he'd love to stock it, he couldn't because they book isn't returnable. Those of you who've read this blog know that while I like Createspace, I'm against using their Expanded Distribution Program for this very reason. Most authors don't really understand the ramifications of signing up with this program until it's too late. I cannot stress enough depending on your goals for your book, which often includes getting it shelved in bookstores--or at a minimum having book signings in bookstores--your book must be returnable. In this economic time, booksellers do not want to be stuck with a bunch of books that won't sell. If they don't sell, they want to be able to return them. This requires you to ask the right questions when signing up with any POD company to print your book. Three aspects that are key to getting your books in stores: Price, Returnability, and Discount. The price has to be comparable to similar books in the genre and of the same length, you must offer a reasonable discount, and your book must be returnable. Therefore, here are key questions you must always ask BEFORE signing up with a POD company. What is your standard discount to booksellers? (If it's less than 40 percent, it is unlikely but not impossible, to get your book in stores. Standard discount is 50-55 percent). Can I set my own standard discount? Can I accept returns? (Lightning Source allows you to accept returns). If I can accept returns, does that option cost me anything? (With Lightning Source and similar PODs the option is FREE. Other company charge hundreds of dollars to allow returns. If you pay that, you're getting taken for your money). Can I set my own book price? And does that option cost me anything? I go into significant detail about this issue here: http://cheapindieauthor.blogspot.com/2010/01/what-is-pod-and-maintaining-control-of.html. Please check it out before you make any major decisions about publishing your book. I'm off the soapbox now. New indie authors will be coming up beginning again on Monday! 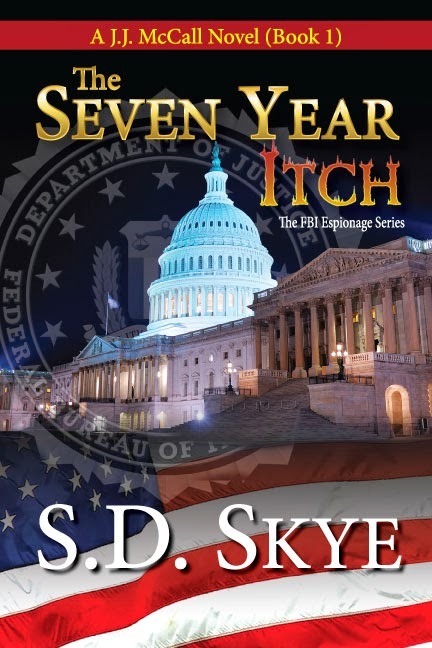 I have two books out in the Mitch Malone Mysteries and a third scheduled for this summer. The first book, A Case of Infatuation, featured crime-beat reporter Mitch Malone. His rules are simple: He never lets the blood and guts he covers bother him. He always works alone. And he hates kids. Mitch breaks all three rules when he unwittingly agrees to smuggle a potential witness out of a suburban Michigan home while police investigate a mob-style-hit that's left two dead bodies. Mitch sends his intern (a real hottie, but nonetheless an interloper) to interview neighbors, hoping to throw her off, but when he finds the pint-sized survivor the killer overlooked, he decides she might be helpful. When the FBI accuses him of the murder, Mitch goes into hiding with the bombshell intern who doesn't talk and the precocious preschooler. Mitch works his contacts to regain his freedom from his roommates only to find they each hold keys to a bizarre story of disappearances, terrorists and the perfect hamburger recipe. My second book is A Case of Accidental intersection. Mitch Malone hates hospitals, but when a suspicious traffic accident lands a comatose victim in the ICU, he must put that aside to find the truth. The surface looks smooth but the more the crime beat reporter looks the more bodies pop up including a private detectives. Can he get to the truth before the surviving victim is murdered in her hospital bed and an elderly witness has a heart attack? Will he get his exclusive printed before he’s the next victim? A Case of Hometown Blues is the third and Mitch returns to where he grows up and gets arrested for murdering the homecoming queen. In his quest to win a bet with the local news staff, he must get a big story but realizes his career maybe over if convicted. 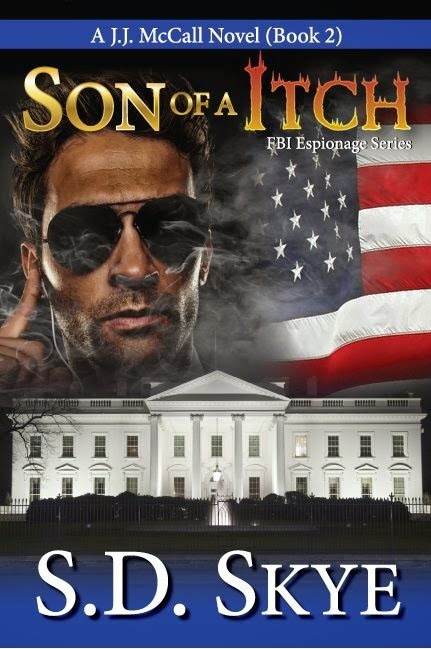 The police chief is his nemesis from high school and enjoys putting the screws to Mitch. Can he get his story, clear his name and get out of the town that haunts him? My path to publishing was a bit different. I entered a contest sponsored by my publisher, Oak Tree Press. I wanted feedback on my manuscript from someone who specialized in mysteries and thought this would be a great way. Turns out I won the contest and A Case of Infatuation took the Dark Oak Mystery prize in 2008 and was published in 2009. My publisher runs a mystery, romance and cop tales contest each year. Deadline to submit is this summer so brush up your manuscripts. You can see more information at www.oaktreebooks.com. This is the part that is the most difficult. I try to go to conferences and do speaking engagements to get the word out. I also have a blog, www.wsgager.blogspot.com, and a website, www.wsgager.com. Every Monday on my blog Mitch Malone, my main character interviews other authors. It is a lot of fun and I have gotten good feedback so far. I also try and do a lot with facebook but all the marketing really cuts into my writing time. I'm struggling to balance that. 4. What's the best advice you could give to new writers who want to get published? Start marketing yourself now. Get a author website and blog. Post things. Many publishers including my own look at your presence on the web before taking your work to the next step and offering a contract. I just finished a book that was a compilation of mystery writers and put together by Jeffrey Deaver called Watchlist that featured chapters by some of my favorite authors. I have a huge stack of books to be read and received a Kindle for Christmas and have now loaded that. I'm trying to read every night for at least a half hour but it is tough. Some of my favorite indy authors are Marilyn Meredith, Sunny Frazier, J. Michael Orenduff, and am waiting anxiously for Holli Castillo's new book called Jambalaya Justice.